A great video is great. But content is digested by audiences faster than ever, and a single message has a finite return when it comes to video marketing. Our annual plan is a way for businesses to have a regular stream of custom-shot videos produced with today’s social landscape in mind. Because we see many companies invest in creating video and often underutilize it, we aim to offer a new type of video production service that is designed for today’s need to stay current and fresh when it comes to your company’s marketing media. 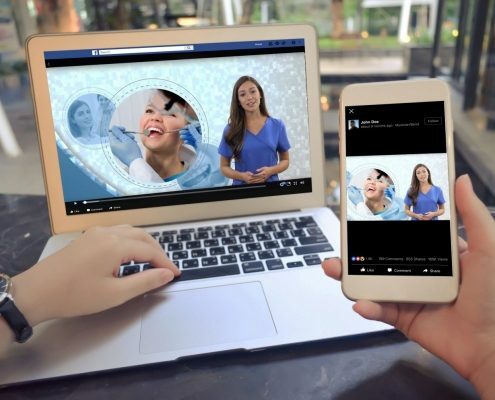 The videos created with your annual plan are highly recommended to be used for a carefully targeted social media advertising campaign with your current agency, your resources in-house, or here with our team of ad strategists at Bclip. Make it visible! Ask us about placing your videos in an advertising campaign on sites like YouTube, Facebook, Instagram, and LinkedIn. Discover a new type of video production service for today’s need to stay fresh with your marketing media. Enhance your annual package with digital advertising on Facebook/Instagram, YouTube, and more starting at $500/month. Ready to get shooting? Let’s do this. Ask us anything or tell us more about you!